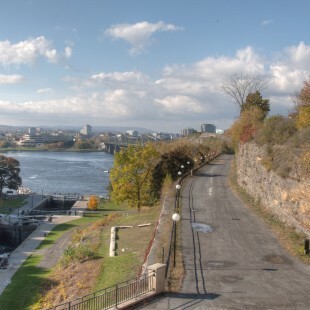 This view from Hull reveals where the Notre-Dame Church used to stand. 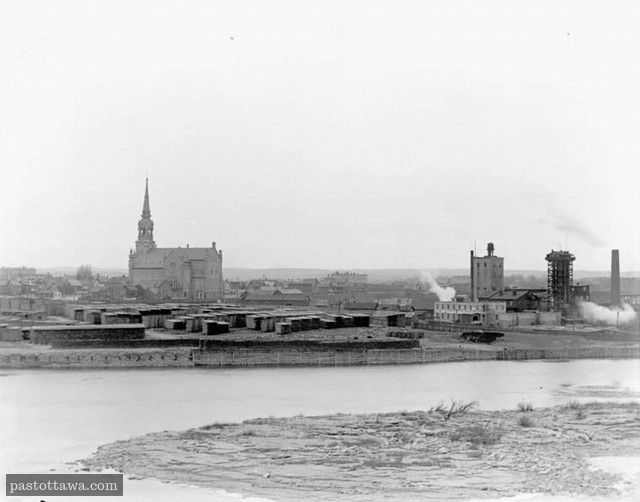 The Notre-Dame Church was demolished in the 1970s. 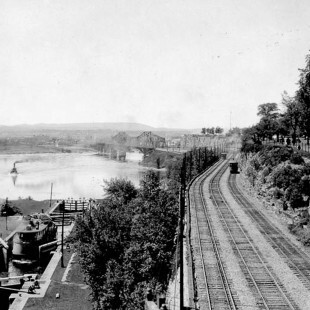 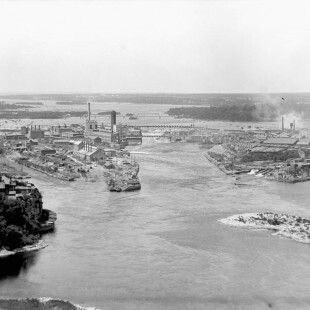 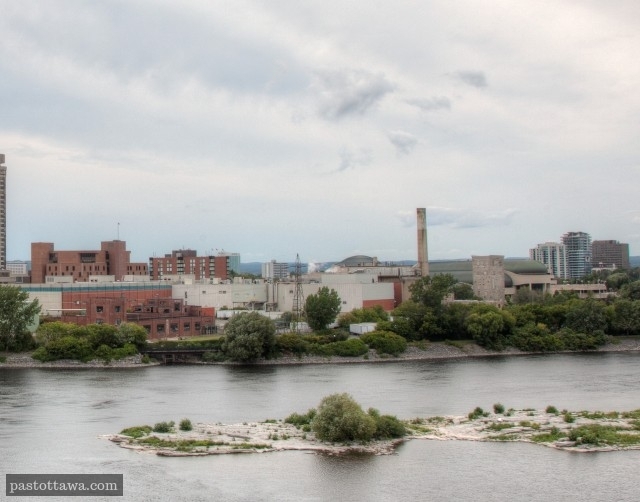 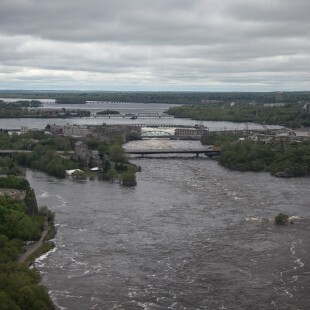 Despite the several improvements done on the north shore of the Ottawa River, the area photographed seems still heavily industrialized.